San Diego Comic-Con has officially begun. Every fanboy and girl will be in the Gaslamp Quarter of San Diego enjoying everything this celebration of the arts has to offer – movie premieres included. According to Deadline, Open Road Films and Oliver Stone have set up an exclusive screening of Snowden, starring Joseph Gordon-Levitt and Shailene Woodley. Details of the screening are limited and will take place today at an undisclosed location downtown. This will be the first time anyone has seen the film and will be followed up by a Q&A with Stone, Levitt, Woodley, and Zachary Quinto who is also at the convention for Star Trek Beyond. This is an invitation-only affair, shocker. SDCC is notorious for revealing exclusive content that no one else has seen or heard before, so, it came as no surprise when we found out that Edward Snowden himself will be at the Q&A live, via the internet. The premiere will serve as a follow-up to this morning’s Snowden Hall H panel. Be sure to keep an eye out for highlights and more exclusive content. 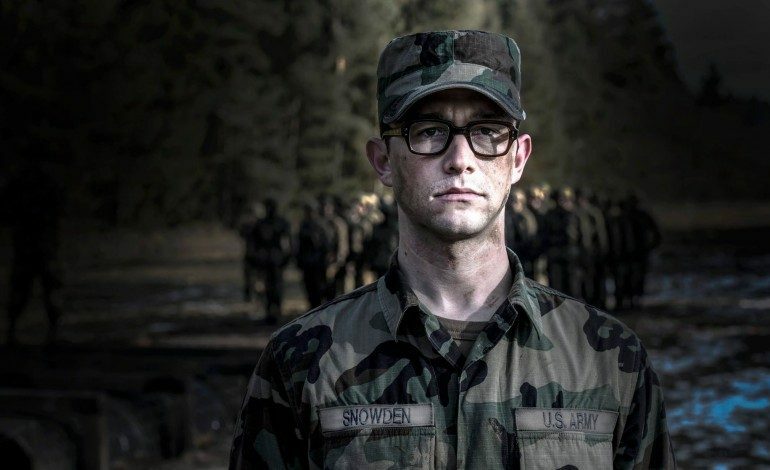 Snowden will hit theaters September 16th, 2016.